Happy New Year sale & a look back at 2011!!! I've been taking a little crafty break and spending time with the family!! But I'll be back in the New Year!!! So here is a little sale for those that have been missing me, and those who are just finding me! 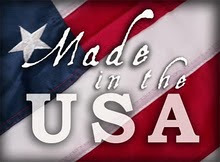 Use the coupon code newyear15 to save 15% off your purchase of $50 or more in the Chomas Creations store!!! And here is to a New Year and all those resolutions, may we make them easy enough to keep this year! Here are a few of my favorite projects from 2011! Hope you enjoyed looking back through the year with me!!! And here is to a great 2012!!! From our family, to yours! Wishing you a very Merry Christmas! 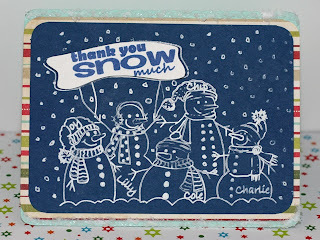 To thank everyone for another wonderful year, use the coupon code december15 at checkout in the Chomas Creations store to save 15% off your purchase of $50 or more! Coupon good thru 12-26 at midnight. 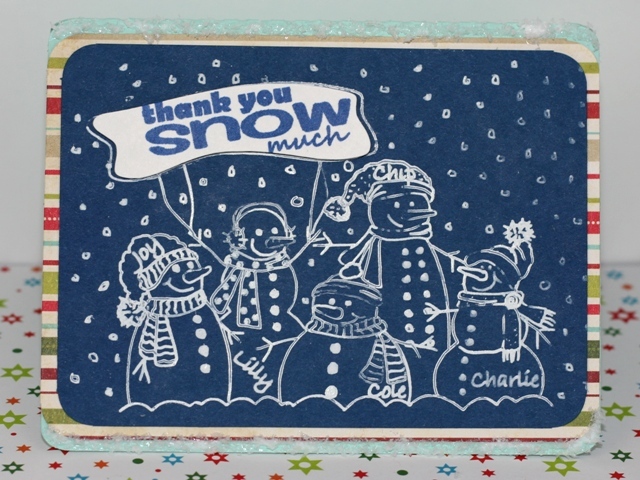 Also use the coupon code december10 at checkout in the Chomas Creations store to save 10% off your entire purchase! I'm lucky to be a guest designer for the 12 days of Christmas blog hop going on over at Honeybearz Designs! I've also donated a Chomas Creations mini gel pen holder & all 20 mini gel pens over there as part of some stocking stuffers. For a chance to win, hop on over to Honeybearz Designs and check out what they have going on! 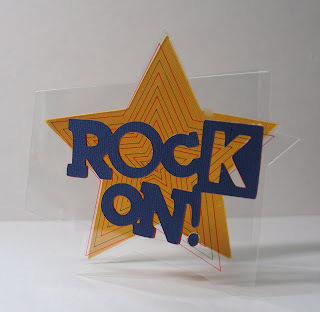 Well with all the fun and excitement of my new Chomas Creations adjustable holders, I've been missing playing with my Chomas Creations embossing kit for the Cricut! So I got it out to play hehe! 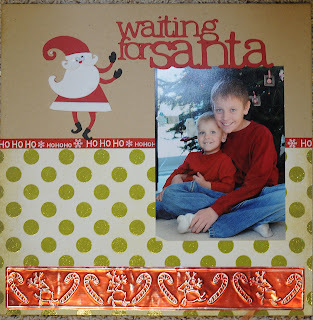 I used it to make the reindeer and candy cane border on a metal sheet with the Christmas Cheer cartridge. 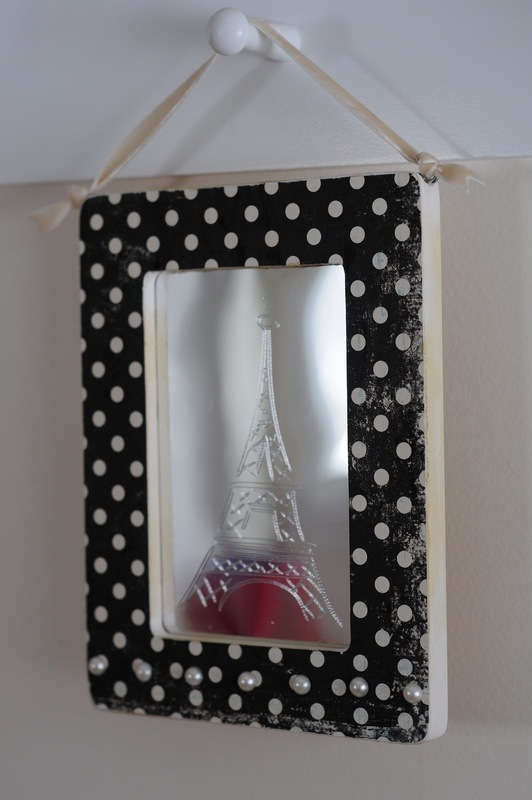 After I embossed it, I sanded the raised image. 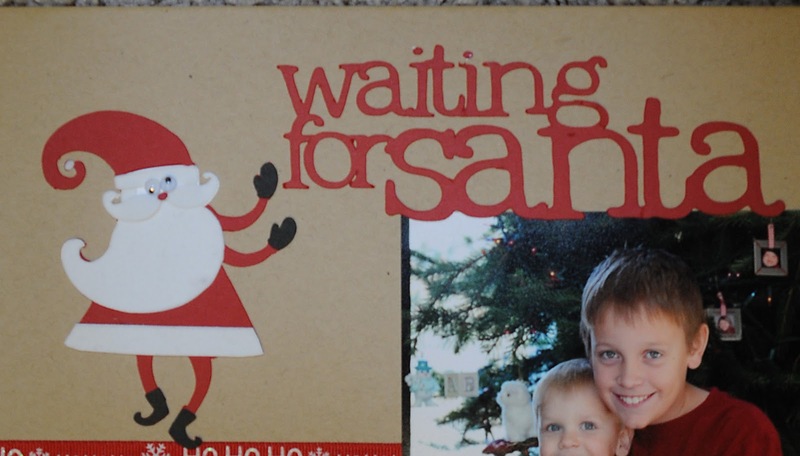 I then designed the title with Doodletype and the Santa with Christmas Cheer and cut them out. I used fuzzy vinyl from Silhouette to add the beard and trim on Santa! 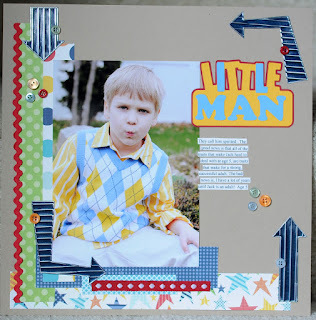 Here is the completed page along with my boys. It is a few years ago, but this sweet picture finally has its own page hehe! Don't forget to use the coupon code december10 at checkout in the Chomas Creation's store to save 10% off your entire purchase! 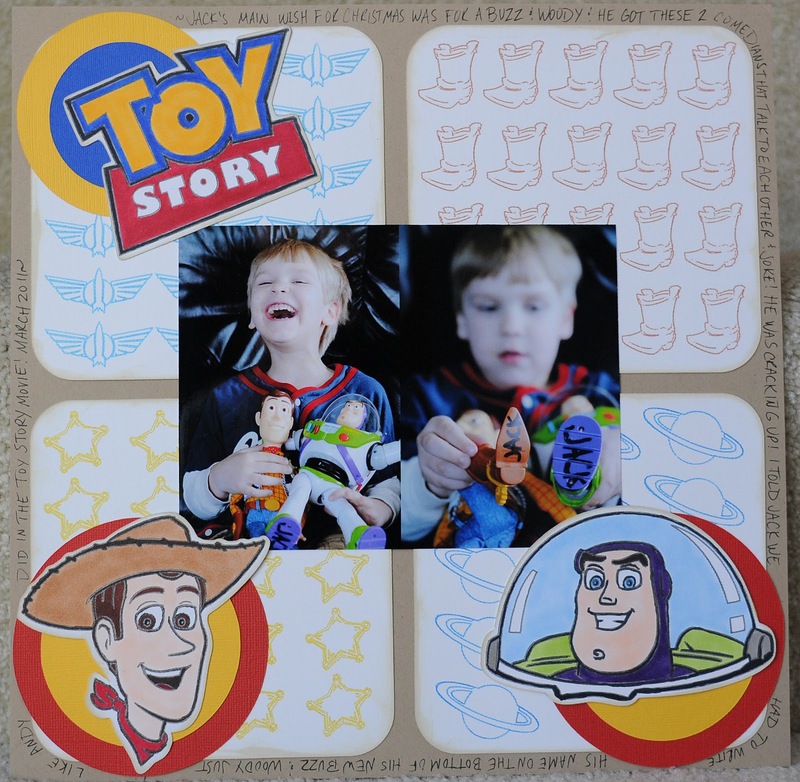 Check out what Joy of Joy's Life did with the Chomas Creations adjustable marker holder & a white gel pen in the Cameo! She used my fav white gel pen the Uni-ball Signo. This white gel pen is the whitest of all the ones I have tried! Too bad my youngest son ran off with mine and can't find it! I had to order more! Joy is also having a give away on her blog of your choice of the Chomas Creations adjustable pen or marker holder for either the Cricut or Silhouette, your choose! And if you use the coupon code joyslife10 you can save 10% off your entire purchase in the Chomas Creations store! 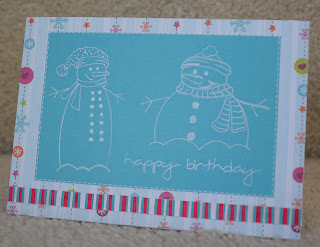 Here is the super cute snowman card she made! 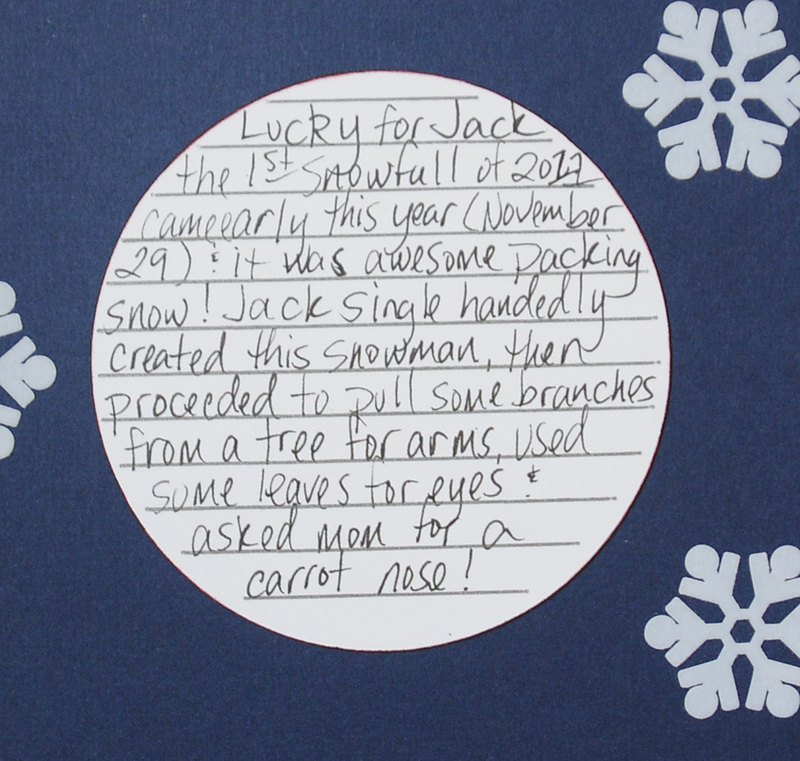 You can get more details on the card, and a chance to win at Joy's Life, hop on by! 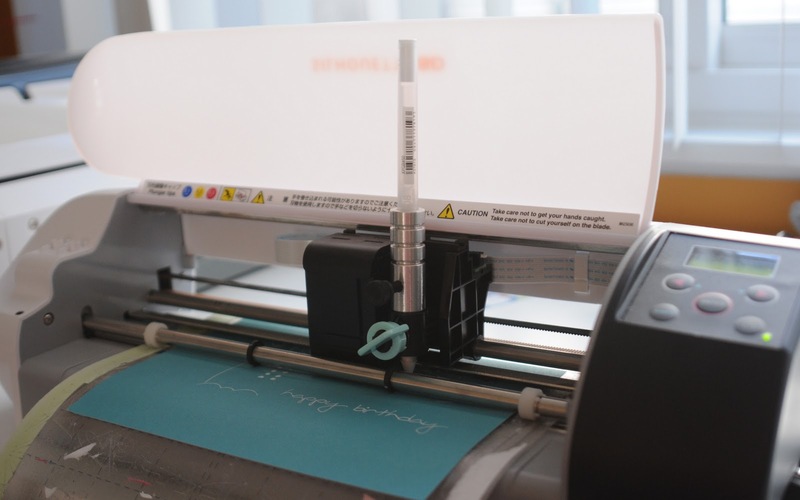 Rebecca shared some of the Christmas tags she made with the Chomas Creations adjustable pen holder for the Cricut! 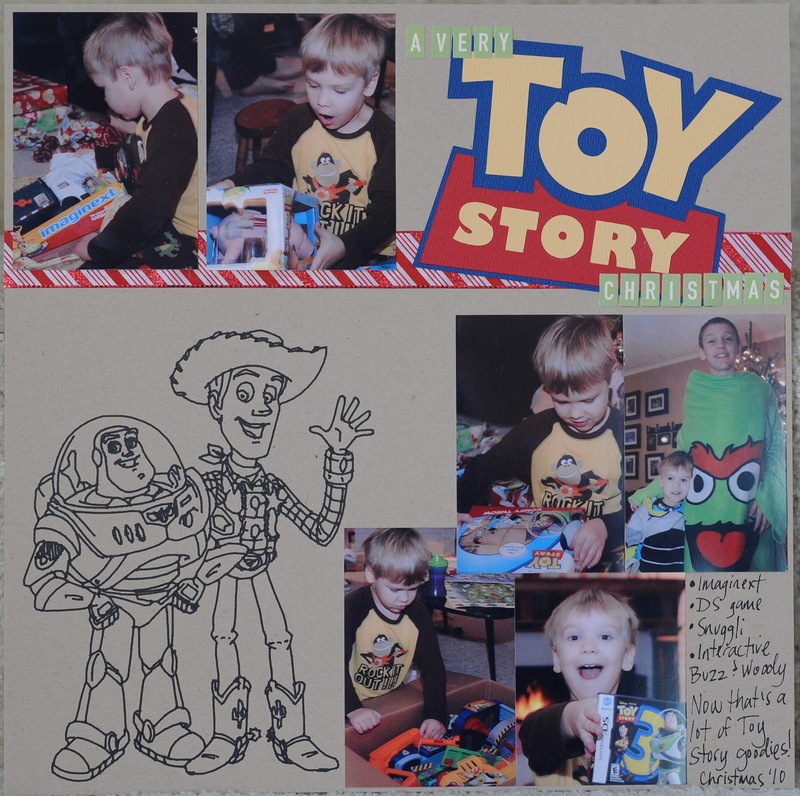 What a great way to label your presents! 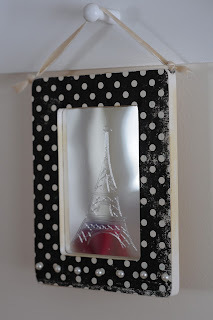 And look at the extra fine details the Chomas Creations holders gave her for these tiny images! I love how she added the names to her tags as well. Very nice Rebecca! Of course I had to work on some to, hehe! Thanks to the inspiration above! 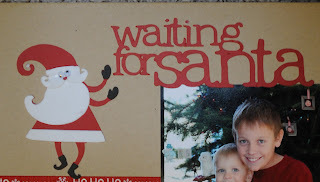 I try to do some Christmas tags every year, but completely forgot because of the craziness of the season! These are very simple compared to Rebecca's! You can get the file for the Studio tags I made here... Christmas tags I used the Chomas Creations adjustable pen holder with a white gel pen and red paper to do these tags. I'll add some ribbon to them as well! Don't forget to use the coupon code december10 at checkout in the Chomas Creations store to save 10% off your entire purchase! 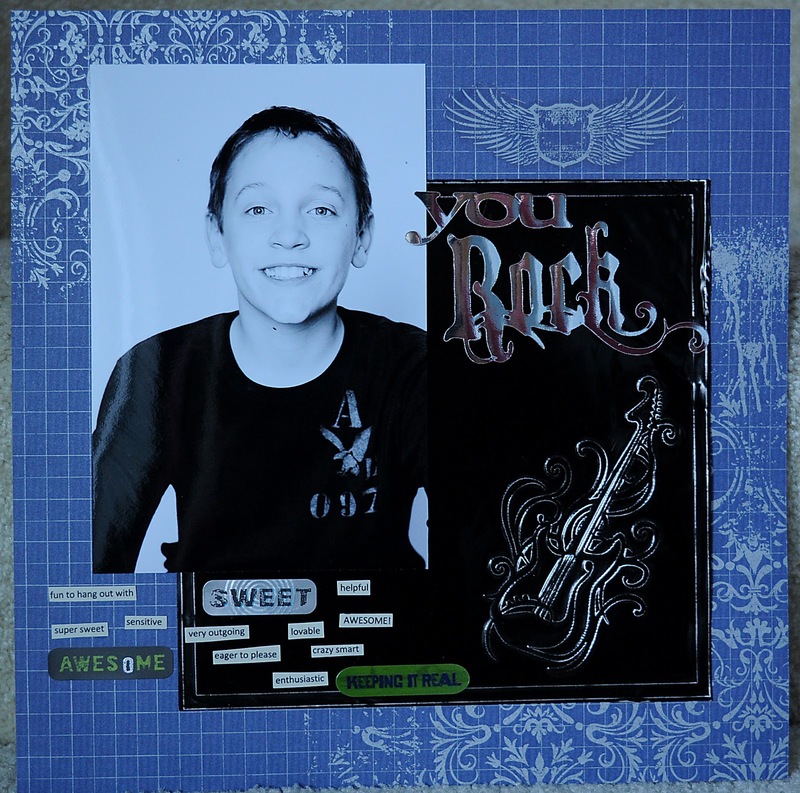 I used the Chomas Creations adjustable pen holder for the Cameo with a white gel pen to draw the background for this page. The key to drawing your journaling like this is to look for thinner fonts so they look like they are single lines. 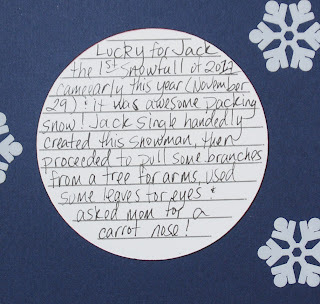 I also drew the snowman for this page. 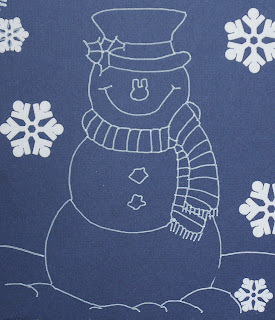 I added some fuzzy vinyl snowflakes to finish the page. The Cameo does an amazing job cutting vinyl and this fuzzy vinyl as well! Someone on facebook had posted a link about making cards for a boy that is going through a battle with leukemia after already having battled cancer twice. 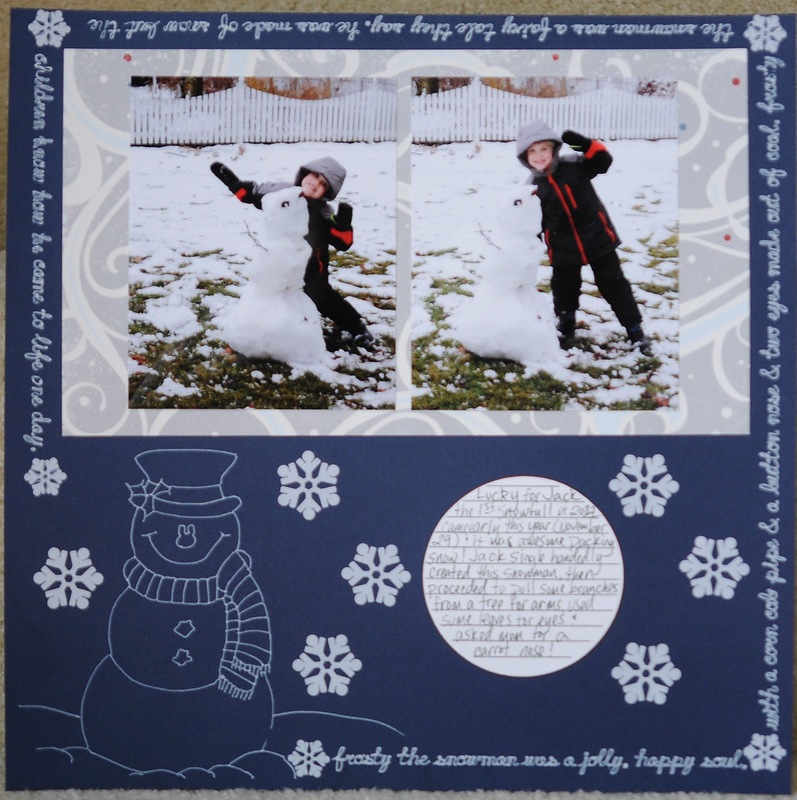 This card is for Joey, and if you would like to send him a card, here is the link.... Joey cards I love how at this time of year, everyone joins together and they do good things like this, may Joey's mailbox be overfull! 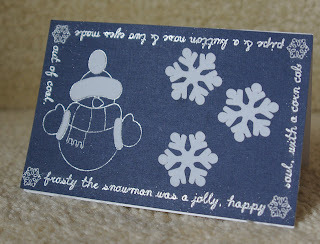 I made this file in Make-the-Cut, you can download the file here... Frosty file The file does not include the snowman as that was a Lettering Delights file, but you could add your own! The font is called Play Date. 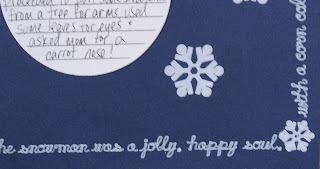 I used the Chomas Creations mini gel pen holder in the Cricut with a silver glitter Chomas Creations mini gel pen to draw the Frosty lyrics as well as the snowman. I then added some fuzzy vinyl snowflakes and a bit to the snowman to cute him up a bit! 5 rhinestone tanks with the Cameo! My niece's 9th birthday party is tomorrow so I'm hooking her up with 5 rhinestone tanks this year! She is always complaining about being hot, and is often found walking around the house in winter in tank tops, so these will work for her! Here are my tanks! Click on the photo to enlarge it! 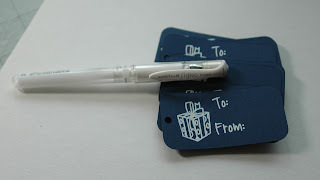 Yes I will admit, I'm addicted to white gel pens, and I missed not being able to use them with the Silhouette or Cricut. 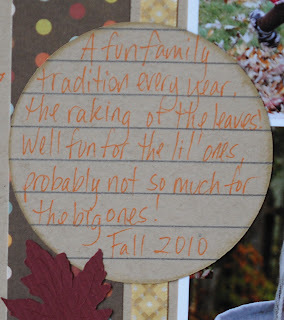 But that has changed, so bring on the white gel pens, and all the details that go with them! **I interrupt this blog post to let you know you can save 10% off your entire order using the coupon code december10 at checkout in the Chomas Creations store! 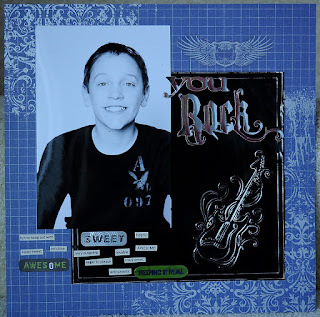 I actually used my Silhouette for this card, as it was out and I did want to show what a good job that little machine does with writing with the Chomas Creations adjustable pen holder and gel pens. Now, this isn't my good white gel pen as my son "borrowed" it and it never made its way back to me! But it still did the job! 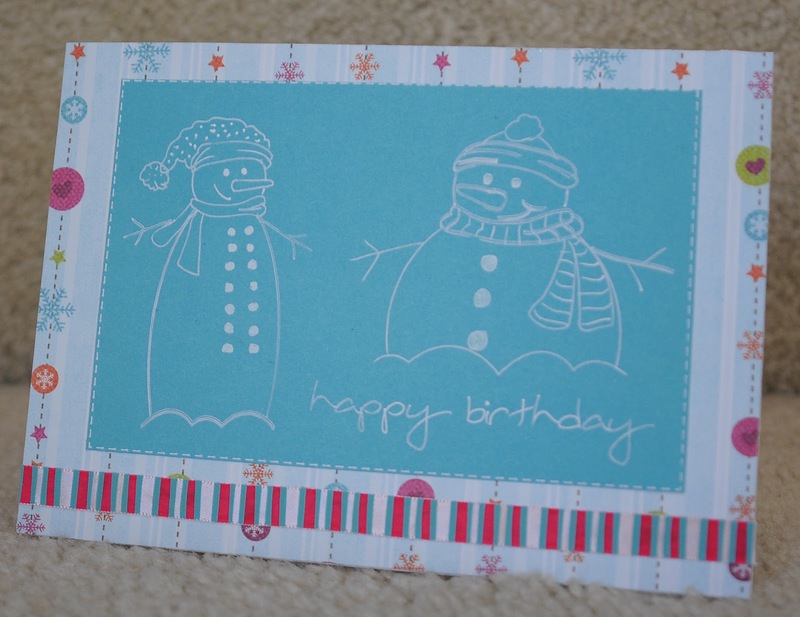 I got both of these snow men in the Silhouette Studio downloads, they are actually sketches, notice the single lines. The font I used for happy birthday is Amy La, I downloaded it for free online at Kevin & Amanda, fonts for peas. She has some AMAZING free fonts, and this one is a single line journaling font, perfect for sketching! And using the cut line setting in Studio, you can turn any solid line into a stitched line! 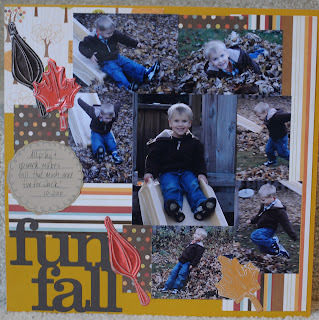 My last "fall" layout of the season! 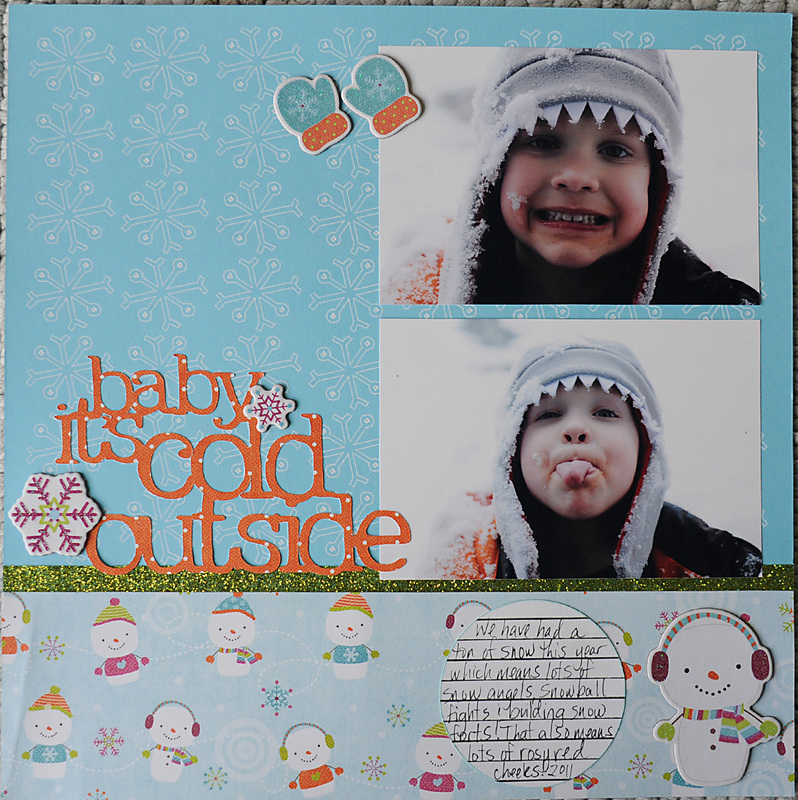 Onto even colder weather layouts after this hehe! Speaking of colder weather, use the coupon code december10 to save 10% off your entire purchase in the Chomas Creations store! 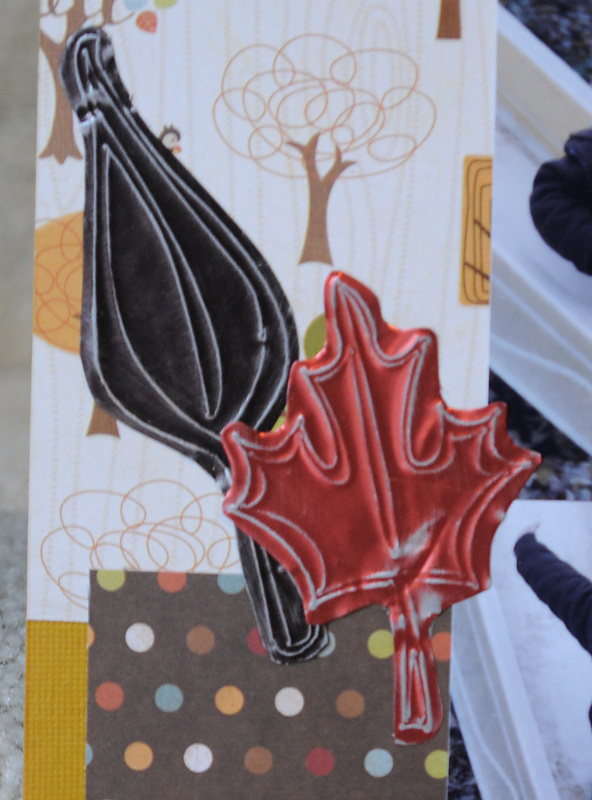 I used the same leaves as yesterday's layout using the Chomas Creations adjustable pen holder for the Silhouette/Cameo to hold a stylus and emboss on a metal sheet. I then sanded the raised image for this look. I cut the title from a Silhouette Studio file. And here is the finished page with tons of pictures in a collage! 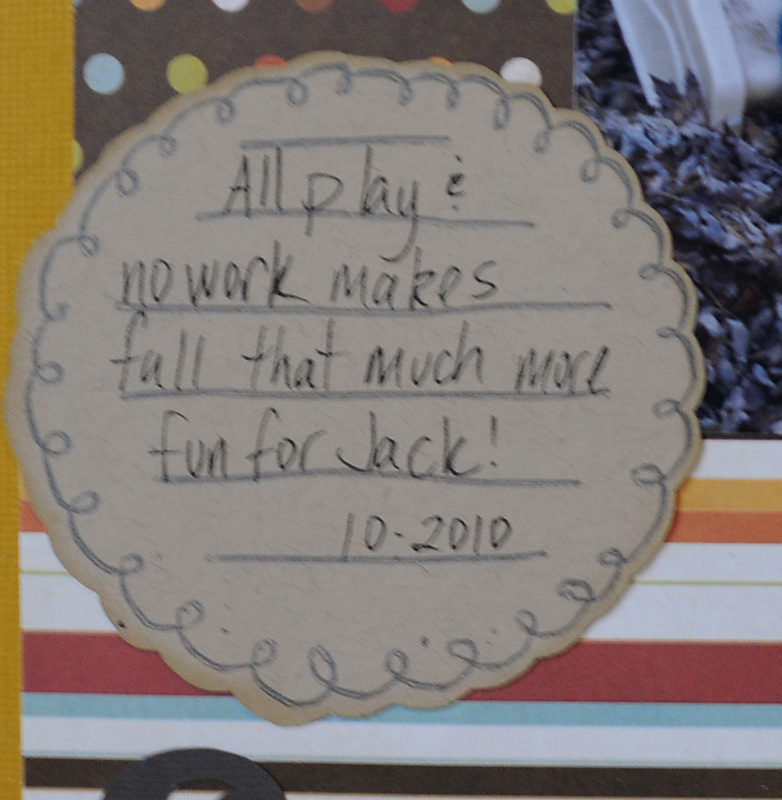 Notice my scraps of paper are also in a collage. I'm running to the end of this line of paper, but still needed it for a fall page, no scrap to small to add on! 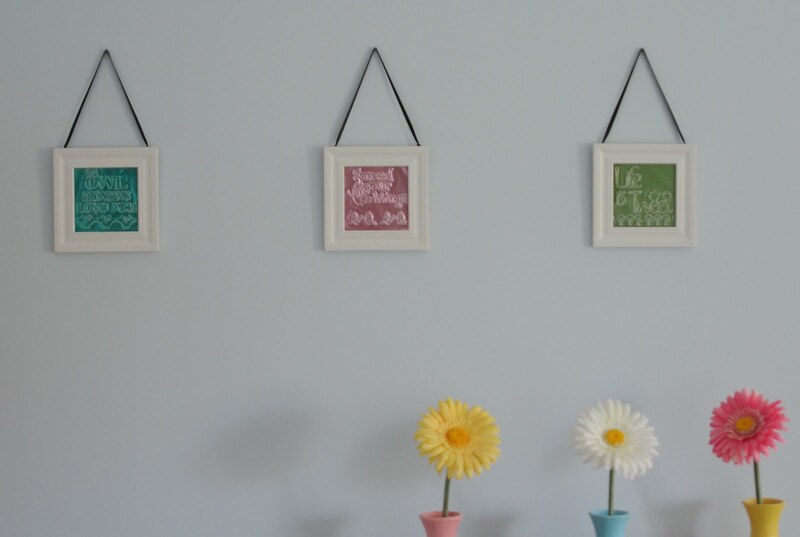 This is a great way to use up those scraps of paper! 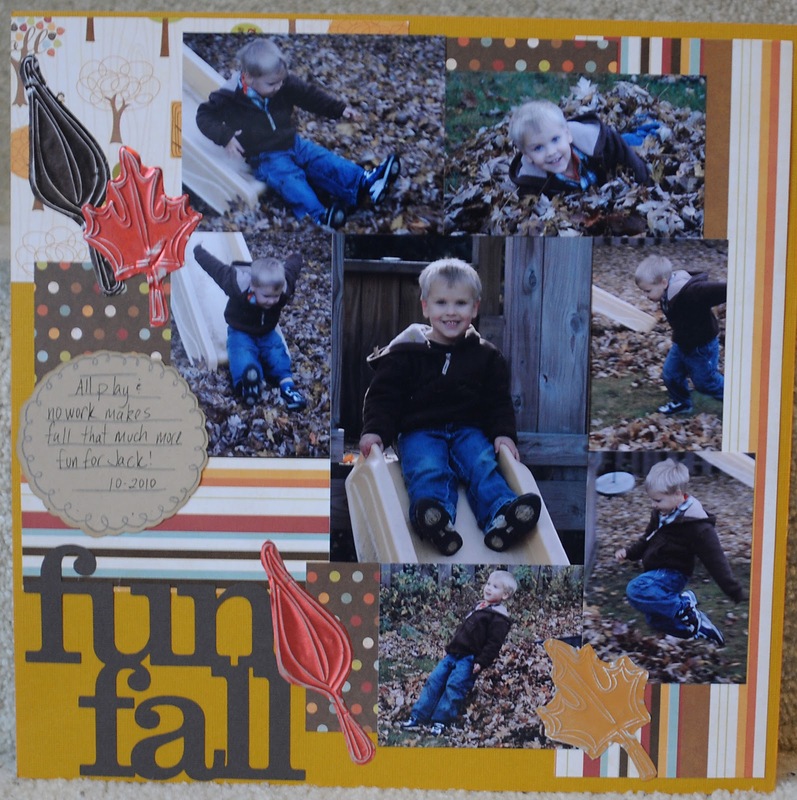 So I printed all these fall pics, then got too busy to scrap them, but I want to get them done! 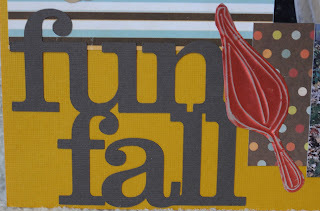 So instead of winter/Christmas pics, I'm finishing my fall lol! 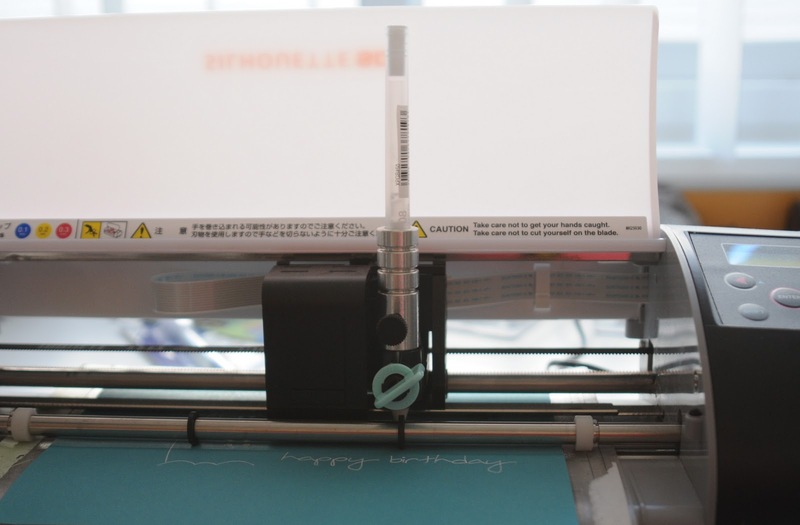 I used the Chomas Creations adjustable pen holder to hold a stylus and then embossed on a metal sheet. I then cut around the leaves with scissors and then sanded the raised surface. 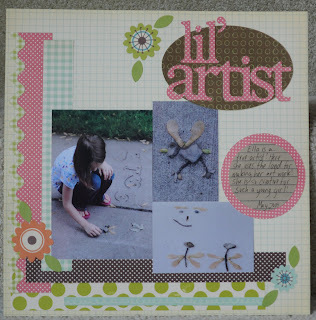 The leaf designs are from Silhouette Studio. I cut the title with another Silhouette Studio file. 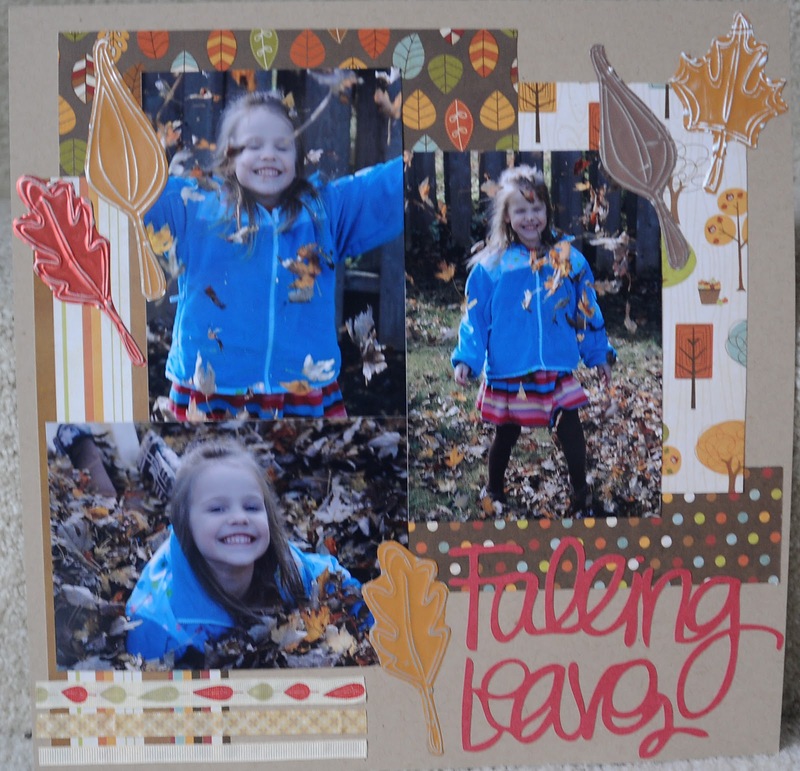 Here is the finished page, along with my daugther enjoying the leaves. Don't forget you can still use the coupon code december10 to save 10% off your entire order in the Chomas Creations store. 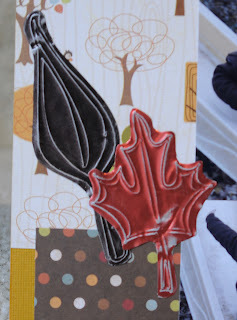 Raking Leaves layout with Chomas Creations adjustable pen holder & no bleed Sharpie pens! 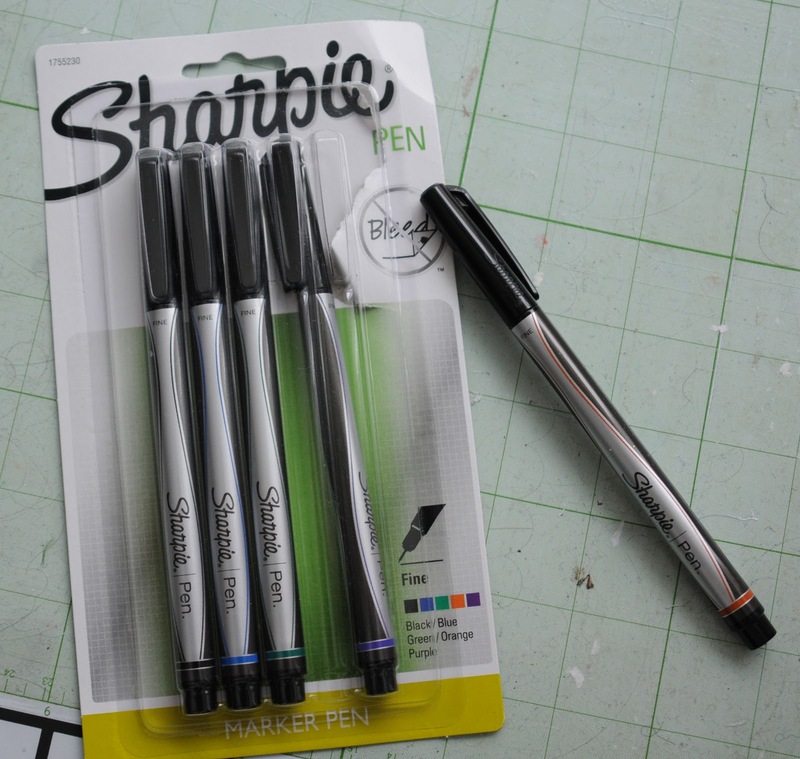 Something I always do when I come to a pen or marker aisle in the store is see if I can find something new to try in the Chomas Creations adjustable holders! Well I found these no bleed Sharpie markers on my last trip to Staples, and they came in a 5 pack of different colors! Don't forget there is a sale going on in the Chomas Creations store! When you use the coupon code december10 at checkout you save 10% off your entire purchase!! I know I'm a bit behind on my fall pages, as it has snowed here twice in the last 3 days, but I wanted this one done as I had it printed and ready to go! 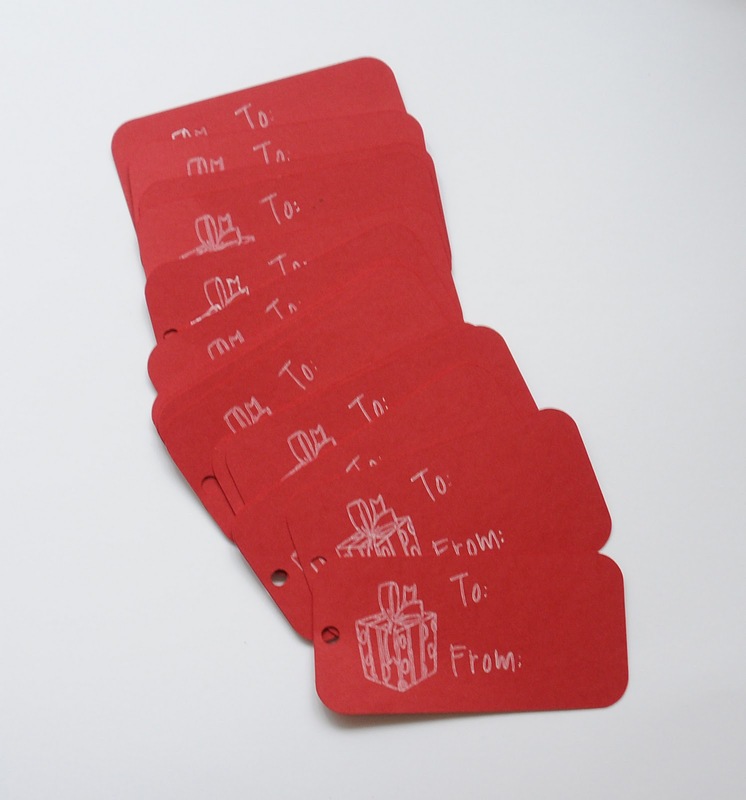 So I figured these would be perfect for drawing on cardstock! Especially the no bleed part which sometimes we have trouble with, with the die cut machines and bleeding. So I put them to the test in the Expression 2 and the Chomas Creations adjustable marker holder, and low and behold, no bleeding!! And these are small leaves I drew, less then 1 inch tall, so they have very fine details! 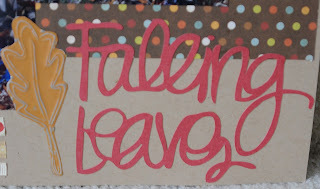 The title I put together in Cricut Craft room. I've been having a lot more luck with the Expression 2 getting the finer details in my cuts, sorry, just saying! The title is from Cindy Loo. 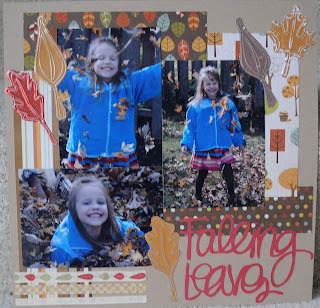 Here is my page all put together, with a few extra leaves from A Child's Year.